Phonology is a branch of linguistics concerned with the systematic organization of sounds in spoken languages and signs in sign languages. It used to be only the study of the systems of phonemes in spoken languages (and therefore used to be also called phonemics, or phonematics), but it may also cover any linguistic analysis either at a level beneath the word (including syllable, onset and rime, articulatory gestures, articulatory features, mora, etc.) or at all levels of language where sound or signs are structured to convey linguistic meaning. The word phonology comes from Ancient Greek φωνή, phōnḗ, "voice, sound," and the suffix -logy (which is from Greek λόγος, lógos, "word, speech, subject of discussion"). Definitions of the term vary. Nikolai Trubetzkoy in Grundzüge der Phonologie (1939) defines phonology as "the study of sound pertaining to the system of language," as opposed to phonetics, which is "the study of sound pertaining to the act of speech" (the distinction between language and speech being basically Saussure's distinction between langue and parole). More recently, Lass (1998) writes that phonology refers broadly to the subdiscipline of linguistics concerned with the sounds of language, while in more narrow terms, "phonology proper is concerned with the function, behavior and organization of sounds as linguistic items." According to Clark et al. (2007), it means the systematic use of sound to encode meaning in any spoken human language, or the field of linguistics studying this use. Early evidence for a systematic study of the sounds in a language appears in the 4th century BCE Ashtadhyayi, a Sanskrit grammar composed by Pāṇini. In particular the Shiva Sutras, an auxiliary text to the Ashtadhyayi, introduces what may be considered a list of the phonemes of the Sanskrit language, with a notational system for them that is used throughout the main text, which deals with matters of morphology, syntax and semantics. The study of phonology as it exists today is defined by the formative studies of the 19th-century Polish scholar Jan Baudouin de Courtenay, who (together with his students Mikołaj Kruszewski and Lev Shcherba) shaped the modern usage of the term phoneme in a series of lectures in 1876-1877. The word phoneme had been coined a few years earlier in 1873 by the French linguist A. Dufriche-Desgenettes. In a paper read at the 24th of May meeting of the Société de Linguistique de Paris, Dufriche-Desgenettes proposed that phoneme serve as a one-word equivalent for the German Sprachlaut. Baudouin de Courtenay's subsequent work, though often unacknowledged, is considered to be the starting point of modern phonology. He also worked on the theory of phonetic alternations (what is now called allophony and morphophonology), and may have had an influence on the work of Saussure according to E. F. K. Koerner. An influential school of phonology in the interwar period was the Prague school. One of its leading members was Prince Nikolai Trubetzkoy, whose Grundzüge der Phonologie (Principles of Phonology), published posthumously in 1939, is among the most important works in the field from this period. 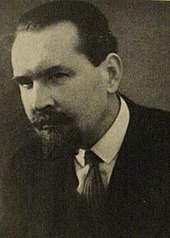 Directly influenced by Baudouin de Courtenay, Trubetzkoy is considered the founder of morphophonology, although this concept had also been recognized by de Courtenay. Trubetzkoy also developed the concept of the archiphoneme. Another important figure in the Prague school was Roman Jakobson, who was one of the most prominent linguists of the 20th century. In 1968 Noam Chomsky and Morris Halle published The Sound Pattern of English (SPE), the basis for generative phonology. In this view, phonological representations are sequences of segments made up of distinctive features. These features were an expansion of earlier work by Roman Jakobson, Gunnar Fant, and Morris Halle. The features describe aspects of articulation and perception, are from a universally fixed set, and have the binary values + or −. There are at least two levels of representation: underlying representation and surface phonetic representation. Ordered phonological rules govern how underlying representation is transformed into the actual pronunciation (the so-called surface form). An important consequence of the influence SPE had on phonological theory was the downplaying of the syllable and the emphasis on segments. Furthermore, the generativists folded morphophonology into phonology, which both solved and created problems. Natural phonology is a theory based on the publications of its proponent David Stampe in 1969 and (more explicitly) in 1979. In this view, phonology is based on a set of universal phonological processes that interact with one another; which ones are active and which are suppressed is language-specific. Rather than acting on segments, phonological processes act on distinctive features within prosodic groups. Prosodic groups can be as small as a part of a syllable or as large as an entire utterance. Phonological processes are unordered with respect to each other and apply simultaneously (though the output of one process may be the input to another). The second most prominent natural phonologist is Patricia Donegan (Stampe's wife); there are many natural phonologists in Europe, and a few in the U.S., such as Geoffrey Nathan. The principles of natural phonology were extended to morphology by Wolfgang U. Dressler, who founded natural morphology. In 1976, John Goldsmith introduced autosegmental phonology. Phonological phenomena are no longer seen as operating on one linear sequence of segments, called phonemes or feature combinations, but rather as involving some parallel sequences of features which reside on multiple tiers. Autosegmental phonology later evolved into feature geometry, which became the standard theory of representation for theories of the organization of phonology as different as lexical phonology and optimality theory. Government phonology, which originated in the early 1980s as an attempt to unify theoretical notions of syntactic and phonological structures, is based on the notion that all languages necessarily follow a small set of principles and vary according to their selection of certain binary parameters. That is, all languages' phonological structures are essentially the same, but there is restricted variation that accounts for differences in surface realizations. Principles are held to be inviolable, though parameters may sometimes come into conflict. Prominent figures in this field include Jonathan Kaye, Jean Lowenstamm, Jean-Roger Vergnaud, Monik Charette, and John Harris. In a course at the LSA summer institute in 1991, Alan Prince and Paul Smolensky developed optimality theory—an overall architecture for phonology according to which languages choose a pronunciation of a word that best satisfies a list of constraints ordered by importance; a lower-ranked constraint can be violated when the violation is necessary in order to obey a higher-ranked constraint. The approach was soon extended to morphology by John McCarthy and Alan Prince, and has become a dominant trend in phonology. The appeal to phonetic grounding of constraints and representational elements (e.g. features) in various approaches has been criticized by proponents of 'substance-free phonology', especially by Mark Hale and Charles Reiss. An integrated approach to phonological theory that combines synchronic and diachronic accounts to sound patterns was initiated with Evolutionary Phonology in recent years. An important part of traditional, pre-generative schools of phonology is studying which sounds can be grouped into distinctive units within a language; these units are known as phonemes. For example, in English, the "p" sound in pot is aspirated (pronounced [pʰ]) while that in spot is not aspirated (pronounced [p]). However, English speakers intuitively treat both sounds as variations (allophones) of the same phonological category, that is of the phoneme /p/. (Traditionally, it would be argued that if an aspirated [pʰ] were interchanged with the unaspirated [p] in spot, native speakers of English would still hear the same words; that is, the two sounds are perceived as "the same" /p/.) In some other languages, however, these two sounds are perceived as different, and they are consequently assigned to different phonemes. For example, in Thai, Hindi, and Quechua, there are minimal pairs of words for which aspiration is the only contrasting feature (two words can have different meanings but with the only difference in pronunciation being that one has an aspirated sound where the other has an unaspirated one). The vowels of modern (Standard) Arabic and (Israeli) Hebrew from the phonemic point of view. Note the intersection of the two circles—the distinction between short a, i and u is made by both speakers, but Arabic lacks the mid articulation of short vowels, while Hebrew lacks the distinction of vowel length. The vowels of modern (Standard) Arabic and (Israeli) Hebrew from the phonetic point of view. Note that the two circles are totally separate—none of the vowel-sounds made by speakers of one language is made by speakers of the other. Part of the phonological study of a language therefore involves looking at data (phonetic transcriptions of the speech of native speakers) and trying to deduce what the underlying phonemes are and what the sound inventory of the language is. The presence or absence of minimal pairs, as mentioned above, is a frequently used criterion for deciding whether two sounds should be assigned to the same phoneme. However, other considerations often need to be taken into account as well. The particular contrasts which are phonemic in a language can change over time. At one time, [f] and [v], two sounds that have the same place and manner of articulation and differ in voicing only, were allophones of the same phoneme in English, but later came to belong to separate phonemes. This is one of the main factors of historical change of languages as described in historical linguistics. The findings and insights of speech perception and articulation research complicate the traditional and somewhat intuitive idea of interchangeable allophones being perceived as the same phoneme. First, interchanged allophones of the same phoneme can result in unrecognizable words. Second, actual speech, even at a word level, is highly co-articulated, so it is problematic to expect to be able to splice words into simple segments without affecting speech perception. Different linguists therefore take different approaches to the problem of assigning sounds to phonemes. For example, they differ in the extent to which they require allophones to be phonetically similar. There are also differing ideas as to whether this grouping of sounds is purely a tool for linguistic analysis, or reflects an actual process in the way the human brain processes a language. Since the early 1960s, theoretical linguists have moved away from the traditional concept of a phoneme, preferring to consider basic units at a more abstract level, as a component of morphemes; these units can be called morphophonemes, and analysis using this approach is called morphophonology. In addition to the minimal units that can serve the purpose of differentiating meaning (the phonemes), phonology studies how sounds alternate, i.e. replace one another in different forms of the same morpheme (allomorphs), as well as, for example, syllable structure, stress, feature geometry, accent, and intonation. The principles of phonological analysis can be applied independently of modality because they are designed to serve as general analytical tools, not language-specific ones. The same principles have been applied to the analysis of sign languages (see Phonemes in sign languages), even though the sub-lexical units are not instantiated as speech sounds. ^ Stokoe, William C. (1960, 1978). Sign language structure: An outline of the visual communication systems of the American deaf. Studies in linguistics, Occasional papers, No. 8, Dept. of Anthropology and Linguistics, University at Buffalo. 2d ed., Silver Spring: Md: Linstok Press. ^ Anon (probably Louis Havet). (1873) "Sur la nature des consonnes nasales". Revue critique d'histoire et de littérature 13, No. 23, p. 368. ^ Roman Jakobson, Selected Writings: Word and Language, Volume 2, Walter de Gruyter, 1971, p. 396. ^ E. F. K. Koerner, Ferdinand de Saussure: Origin and Development of His Linguistic Thought in Western Studies of Language. A contribution to the history and theory of linguistics, Braunschweig: Friedrich Vieweg & Sohn [Oxford & Elmsford, N.Y.: Pergamon Press], 1973. ^ Hale, Mark; Reiss, Charles (2008). The Phonological Enterprise. Oxford, UK: Oxford University Press. ISBN 0-19-953397-0. ^ Hale, Mark; Reiss, Charles (2000). "Substance abuse and dysfunctionalism: Current trends in phonology. Linguistic Inquiry 31: 157-169 (2000)". ^ Blevins, Juliette. 2004. Evolutionary phonology: The emergence of sound patterns. Cambridge University Press. Anderson, John M.; and Ewen, Colin J. (1987). Principles of dependency phonology. Cambridge: Cambridge University Press. Bloch, Bernard (1941). "Phonemic overlapping". American Speech. 16 (4): 278–284. doi:10.2307/486567. JSTOR 486567. Bloomfield, Leonard. (1933). Language. New York: H. Holt and Company. (Revised version of Bloomfield's 1914 An introduction to the study of language). Brentari, Diane (1998). A prosodic model of sign language phonology. Cambridge, MA: MIT Press. Chomsky, Noam. (1964). Current issues in linguistic theory. In J. A. Fodor and J. J. Katz (Eds. ), The structure of language: Readings in the philosophy language (pp. 91–112). Englewood Cliffs, NJ: Prentice-Hall. Clements, George N.; and Samuel J. Keyser. (1983). CV phonology: A generative theory of the syllable. Linguistic inquiry monographs (No. 9). Cambridge, MA: MIT Press. ISBN 0-262-53047-3 (pbk); ISBN 0-262-03098-5 (hbk). Donegan, Patricia. (1985). On the Natural Phonology of Vowels. New York: Garland. ISBN 0-8240-5424-5. Firth, J. R. (1948). "Sounds and prosodies". Transactions of the Philological Society. 47 (1): 127–152. doi:10.1111/j.1467-968X.1948.tb00556.x. Gilbers, Dicky; de Hoop, Helen (1998). "Conflicting constraints: An introduction to optimality theory". Lingua. 104: 1–12. doi:10.1016/S0024-3841(97)00021-1. Goldsmith, John A. (1979). The aims of autosegmental phonology. In D. A. Dinnsen (Ed. ), Current approaches to phonological theory (pp. 202–222). Bloomington: Indiana University Press. Goldsmith, John A. (1995). "Phonological Theory". In John A. Goldsmith. The Handbook of Phonological Theory. Blackwell Handbooks in Linguistics. Blackwell Publishers. ISBN 1-4051-5768-2. Hale, Mark; Reiss, Charles (2008). The Phonological Enterprise. Oxford, UK: Oxford University Press. ISBN 0-19-953397-0. Halle, Morris (1954). "The strategy of phonemics". Word. 10: 197–209. Halle, Morris. (1959). The sound pattern of Russian. The Hague: Mouton. Jakobson, Roman (1949). "On the identification of phonemic entities". Travaux du Cercle Linguistique de Copenhague. 5: 205–213. doi:10.1080/01050206.1949.10416304. Kaisse, Ellen M.; and Shaw, Patricia A. (1985). On the theory of lexical phonology. In E. Colin and J. Anderson (Eds. ), Phonology Yearbook 2 (pp. 1–30). Martinet, André (1949). Phonology as functional phonetics. Oxford:: Blackwell. Martinet, André (1955). Économie des changements phonétiques: Traité de phonologie diachronique. Berne: A. Francke S.A.
Pike, Kenneth Lee (1947). Phonemics: A technique for reducing languages to writing. Ann Arbor: University of Michigan Press. Sapir, Edward (1925). "Sound patterns in language". Language. 1 (2): 37–51. doi:10.2307/409004. JSTOR 409004. Sapir, Edward (1933). "La réalité psychologique des phonémes". Journal de Psychologie Normale et Pathologique. 30: 247–265.